During the first round of the 2017 World Championship, the fifteen group D matches will be played in Paris’ AccorHotels Arena, from 13 to 20 January. Six nations will fight for the four qualifiying spots for the eighth-finals. Group D’s clear frontrunner is Denmark, Olympic Champion in Rio in August 2016. Led by superstar Mikkel Hansen, World Player of the Year 2015 and MVP of the Olympic tournament, the Danish team has some serious arguments to put forward. Among the expected big men, goalkeeper Niklas Landin, right winger Lasse Svan Hansen, centre back Morten Olsen, line player Rene Toft Hansen and defense specialist Henrik Mollgaard. Behind Denmark, group D seems pretty open. With a noticeably different roster from the one that reached the 2015 World Championship final at home, Qatar appears to be a bit less strong than two years ago. But last edition’s runner-up will be able to rely on some safe bets, such as left back Rafael Capote and goalkeeper Danijel Saric. For its part, Sweden presents a rejuvenated, but very talented, team. Right winger Nicas Ekberg and goalkeepers Mikael Appelgren and Andreas Palicka will be some very valuable assets to reach the eighth-finals, along with Johan Jakobsson, who was chosen as the best right back of the 2016 European Championship in Poland. After playing well at the Olympics, despite being eliminated in the first round, during which they beat Sweden (26-25), Egypt hopes to progress beyond the grooup phase this time. 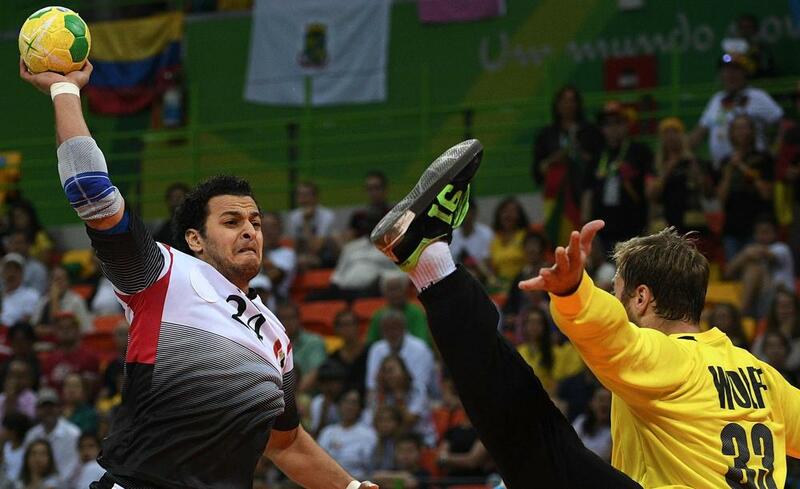 The Egyptian big men will surely be right winger Mohamed Sanad, centre back Mohamed El-Bassiouny, and above all right back Ahmed El Ahmar, star of the team, who was the flag bearer of the Egyptian Olympic team during the Rio 2016 opening ceremony. Buoyed by the return of their playmaker Diego Simonet, who was injured for several months, Argentina travels to France with lofty ambitions. Head coach Eduardo Gallardo even claimed that his team was aiming a spot in the quarter finals. To achieve this goal, the « Gladiatores » will therefore very much count on centre back Diego Simonet, but also on his two brothers, left back Pablo and other centre back Sebastian. Lastly, Bahrain seems to be the least well-equipped side of group D. After losing to Qatar at the 2016 Asian Championship, goalkeeper Mohames A. Hussain and his teammates will nevertheless try to make use of their collective stength to grab Bahrain’s first win ever in a World Championship.